Nagle, Edmund James Barry; Taken on strength in 15th Field Regiment RCA on 22 Oct 1953, struck off strength on 29 Apr 1954. Nakashima, James Steven; Taken on strength as a Musician in 15th Field Artillery Regiment RCA on 27 Jan 1993, released on 1 Jul 1993. ​Nairne, DH; Private in 85 Battery in 1969. Nakutnok, Somkiat; Taken on strength as a Gunner in 15th Field Artillery Regiment RCA on 27 Jun 2002, released on 16 Dec 1999. Napora, Bobby Louis; Taken on strength as a Gunner in 15th Field Artillery Regiment RCA on 8 May 1975, released on 16 Oct 1975. Nash, Alfred Blair; Taken on strength as a Gunner in 15th Field Artillery Regiment RCA on 3 May 1984, released on 18 Oct 1984. Nash, Gavin Arthur Norman; Taken on strength as a Musician in 15th Field Artillery Regiment RCA on 14 Jun 1980, released on 13 Nov 1980. Nay, Roger David; Taken on strength as a Gunner in 15th Field Artillery Regiment RCA on 7 Jul 1980, released on 31 Aug 1980. Neff, ED; Sergeant in 85 Battery from 1968 to 1969. 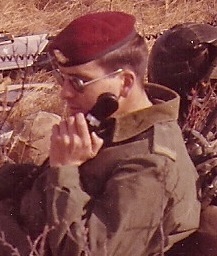 Neff, KHW; Bombardier in 85 Battery in 1969. Neil, Eric Clapton; Taken on strength as a Musician in Royal Westminster Regiment on 8 Jun 1991, qualified QL2 General Military Training on 23 Jul 1991, qualified OJT QL4 Musician Horn on 23 Jul 1991, transferred to 15th Field Artillery Regiment RCA on 31 Mar 1995, released on 17 Jan 1996. Neill, William; 68th Battery Canadian Field Artillery Gunner, Nov, 1916, England Feb., 1917, France 4th Canadian Divisional Ammunition Column July 1917, 10th Battery CFA Oct 1917, Canada and discharged May 1919. 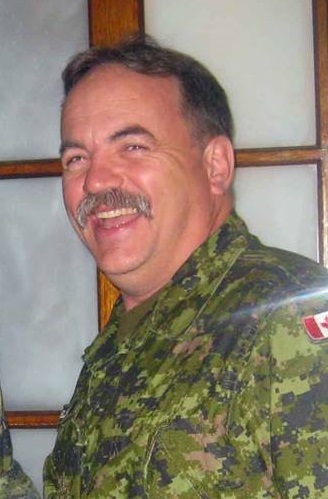 Nelles, Brian Jason Coleman; Taken on strength as a Gunner in 15th Field Artillery Regiment RCA on 12 Apr 1994, qualified General Military Training on 9 Aug 1994, released on 9 Sep 1995. 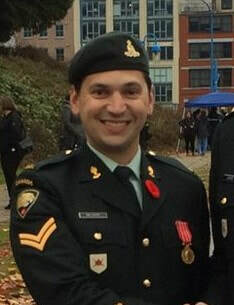 Nelson, Andrew C; Taken on strength as a Musician in 15th Field Artillery Regiment RCA, promoted Bombardier 2007, awarded Canadian Forces Decoration in 2017. Nelson, Brent A; Taken on strength as a Gunner in 15th Field Artillery Regiment RCA, Gunner in 2017. 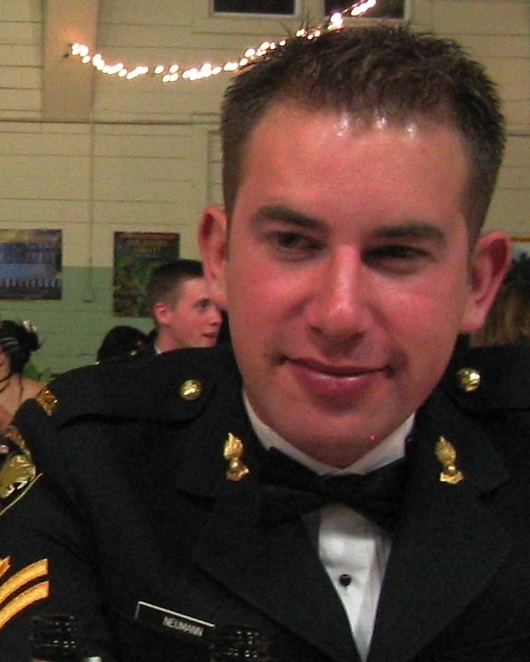 ​Nelson, Dwayne S; Taken on strength as a Musician in 15th Field Artillery Regiment RCA, Sergeant from 2007 to 2014, Warrant Officer from 2015 to 2017. Nenadic, NA; Private in 31 Battery in 1969. Nessim, Benjamin David; Taken on strength as a Musician in 15th Field Artillery Regiment RCA on 25 Apr 1985, qualified General Military Training on 11 Jul 1985, qualified TQ1 Musician on 2 Aug 1985, released on 22 Jan 1986. Neufeld, Henry; Taken on strength with former service in Canadian Army Active 158 Battery 15th Field Regiment RCA on 11 Oct 1951, appointed Lance Bombardier on 27 May 1953, relinquished appointment of Lance Bombardier (unpiad) on 30 Nov 1953, appointed Lance Bombardier (paid) on 1 Dec 1953, relinquished appointment of Lance Bombardier on 28 Oct 1954, struck off strength on release on 28 Oct 1954. ​Neumann, Tyler James; Taken on strength as a Gunner in 15th Field Artillery Regiment RCA on 19 May 1998, qualified General Military Training on 26 Sep 1998, qualified QL3 Artillery on 24 May 1999, qualified QL4 Artillery Communications on 12 Feb 2000, qualified M109 Conversion on 16 Mar 2001, promoted Bombardier on 24 May 2001, qualified CF Junior Leaders Course 5 Jul 2002, qualified LFC Junior NCO on 7 Aug 2002. 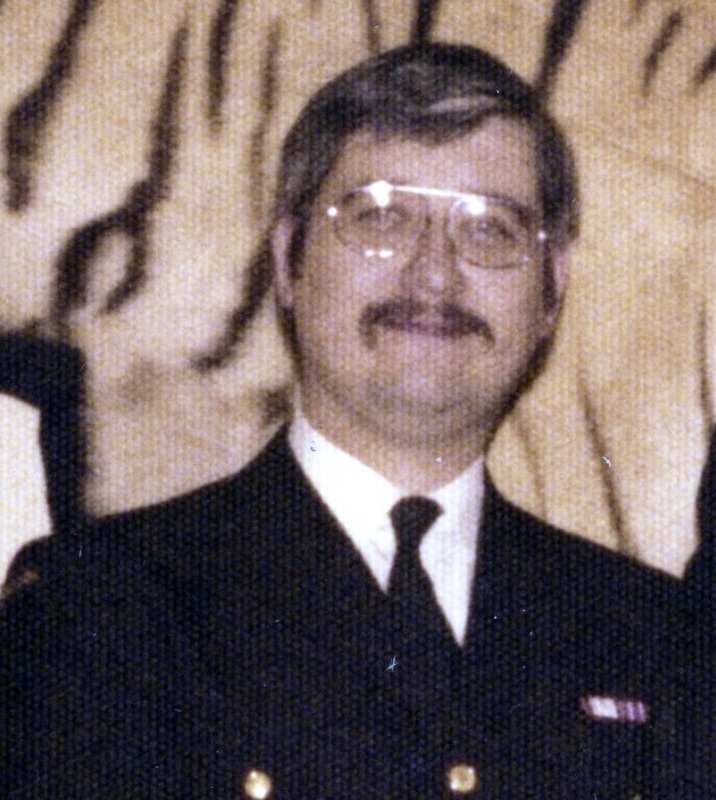 ​New, Larry T; Master Warrant Officer from 1981 to 1983, Regular Force Support Staff 1981 to 1983, Retired in 1983. ​Newby, Ian Davidson; Enlisted in Young Soldier Training Plan 1958, taken on strength with 15th Field Regiment RCA 7 Mar 1959, passed Junior NCO CA(M) Course 5 Dec 1960, appointed Lance Bombardier 1 Jan 1961, struck off strength 1 Nov 1961, taken on strength 22 Jun 1963, promoted Bombardier 1 May 1963, qualified Driver 1 Jun 1963, qualified Senior NCO 18 Apr 1966, qualified Militia Artilleryman Group 1 16 Dec 1967, promoted Sergeant 1 Jan 1968, promoted Second Lieutenant 1 Jun 1968, qualified Lieutenant Basic 16 Aug 1968, promoted Lieutenant 1 Mar 1969, completed Captain Qualifying course 16 Jul 1971, promoted Captain 1 Sep 1976, qualified Major Block 12 Course 15 Aug 1980, qualified Militia Command and Staff Course 25 Jul 1981, promoted Major 18 Aug 1982, released 7 Sep 1987. Newhouse, David Gordon; Taken on strength as a Gunner in 15th Field Artillery Regiment RCA on 4 Mar 1976, qualified General Military Training on 5 Jun 1976, qualified Artilleryman on 2 Aug 1976, released on 11 Sep 1976. ​Newport, W; Taken on strength 15th (Vancouver) Coast Regiment RCA NPAM, Gunner in 58th Battery in Aug 1940. Newson, John Andrew; Taken on strength 31 Battery 15th (Vancouver) Coast Brigade RCA NPAM 6 Aug 1940, assigned regimental number V9480, assigned new regimental number K415584. Newton, Walter Selkirk; Taken on strength 13th Battery Canadian Field Artillery, appointed Lieutenant in 76th Depot Battery 15 Jan 1917, embarked Halifax 17 Apr 1918, disembarked England 28 Apr 1918, taken on strength Reserve Brigade Canadian Field Artillery, appointed OC French, taken on strength 16th Brigade 11 Sep 1918, proceeded overseas to Northern Russia Expeditionary Force 20 Sep 1918, arrived Archangel 1 Oct 1918, awarded Military Cross in recognition of gallant conduct in field 15 Jul 1919, embarked for United Kingdom 11 Jun 1919, sailed for Canada 5 Jul 1919, struck off strength Canadian Expeditionary Force 17 Jul 1919, deceased 19 May 1950, buried at St John's Cathedral Anglican Cemetery Winnipeg MB. ​Neyedli, Sherilene M; Private in the Regimental Band from 1989 to 1990. 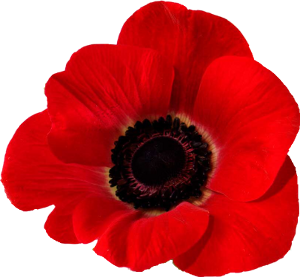 Neyeoli, Sherilene Marie; Taken on strength as a Musician in 15th Field Artillery Regiment RCA on 16 Mar 1989, qualified General Military Training on 9 Jun 1989, qualified TQ1 Musician (Trumpet) on 28 Aug 1989, transfer to 7th Toronto Regiment RCA on 24 Oct 1990. Neylan, Shawn Craig; Taken on strength as a Gunner in 15th Field Artillery Regiment RCA on 2 Jul 1981, qualified General Military Training on 18 Aug 1981, released on 24 Sep 1981. Ng, George (Pui-Kiu); Taken on strength as a Gunner in 15th Field Artillery Regiment RCA on 2 Jul 1981, released on 7 Jul 1981. Ngai, Henry; Taken on strength as a Gunner in 15th Field Artillery Regiment RCA on 2 Jul 1981, qualified general Military Training on 18 Aug 1981, released on 6 Sep 1981. Ngan, S; Taken on Strength 15th Field Artillery Regiment RCA, promoted Bombardier, promoted Master Bombardier, awarded Most Efficient Bombardier of the Year 2012. Nguyen, Tam Thanh; Taken on strength as a Gunner in 15th Field Artillery Regiment RCA on 16 Jan 1971, qualified QL2 General Military Training on 14 Apr 1991, qualified QL3 Artilleryman on 17 Jul 1992, qualified QL4 Communications on 7 Aug 1992, qualified QL4 Artillery Technician Part I (recce) on 30 Jun 1993, qualified QL4 Artillery Technicians Part II (CP) on 28 Jul 1993, promoted Bombardier on 1 Nov 1993, qualified Driver Wheeled on 5 Nov 1993, operational tour with United Nations Protection Force from 19 Dec 1993 to 4 Oct 1994, released on 9 Feb 1995, enroled Regular Force Princess Patricia Canadian Light Infantry on 13 Feb 1995. 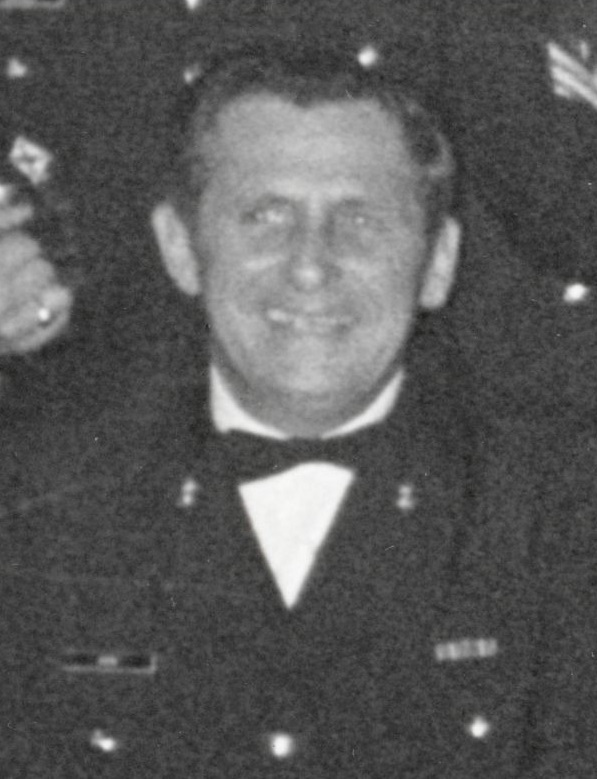 Nichols, RJ; Taken on strength 15th Field Artillery Regiment RCA, awarded Brigadier Dumoulin trophy in 1960, Battery Sergeant Major of 209th Battery in 1962, Warrant Officer Class II from 1960 to 1962. 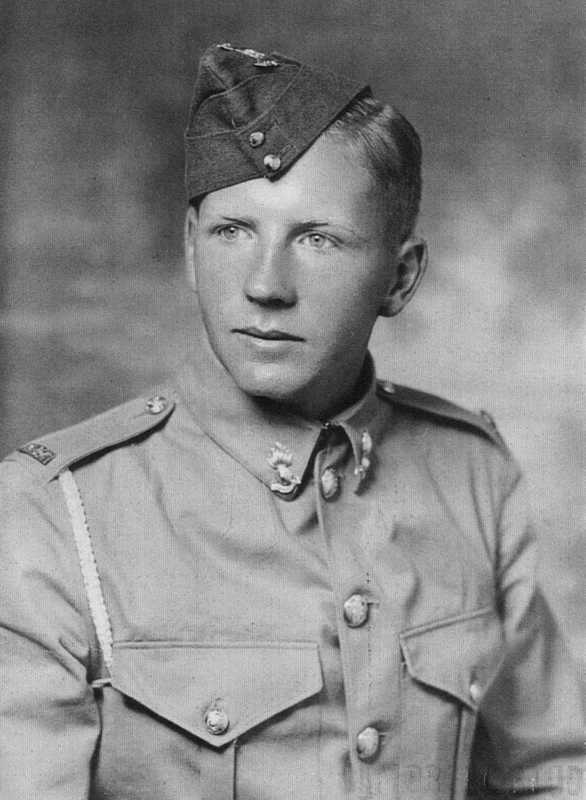 Nicholson, Douglas William; Taken on strength as a Gunner with 85th Battery 15th (Vancouver) Coast Regiment RCA NPAM on 9 Aug 1940, assigned regimental number V10468, assigned new regimental number K417547. Nicholson, LF; Lieutenant in the Ammunition Column for 15th Brigade Canadian Field Artillery from 1922 to 1924. Nicoll, Robert (Bob); Gunner in the 43rd Medium Anti-Aircraft Regiment RCA CA(M) Military Band in 1958, struck off strength on release on 6 Apr 1959. Nielsen, Roy Dahl; Taken on strength as a Gunner in 15th Field Artillery Regiment RCA on 3 Jul 1978, qualified generalMilitary Training on 27 Aug 1978, transferred to Royal Westminster Regiment on 15 Apr 1979. Nielson, Owen John; Taken on strength as a Gunner in 15th Field Artillery Regiment RCA on 15 Sep 1977, released on 26 Jul 1978. Nightingale, Keith Jon; Taken on strength as a Gunner in 15th Field Artillery Regiment RCA on 7 Feb 1981, released on 20 Jun 1981. Nikkel, Heinrich Peter Allen; Taken on strength 15th Field Regiment RCA on 27 Nov 1958. Nilberg, John; Taken on strength 15th Field Regiment RCA on enrolment on 13 May 1955, struck off strength on release on 1 Oct 1956. Nisbet, Dugald Macfarlane; Taken on strength 15th Field Regiment RCA on 12 Nov 1957, struck off strength on release on 1 Aug 1958. Niven, Gordon Duncan; Taken on strength in 15th Field Regiment RCA on 18 Sep 1952, struck off strength on 8 Oct 1952, deceased 8 Oct 1952. Nordam, Mark Hendrik; Taken on strength as a Gunner in 15th Field Artillery Regiment RCA on 23 Dec 1993, released on 20 May 1994. Normoyl, Kiercin, Taken on strength as a Gunner in 15th Field Artillery Regiment RCA CA(M) on 4 October 1966. ​Norris, Colin V; Taken on Strength 15th Field Artillery Regiment RCA 1971, Bombardier 1973 to 1974, Struck off strength Primary Reserves, enroled Regular Force in 1974, Gunner from 1974 to 1977, 1 Airborne Battery from 1975 to 1977, Bombardier in 1977, Master Bombardier from 1977 to 1979, Sergeant from 1979 to 1984, 2nd Regiment Royal Canadian Horse Artillery from 1977 to 1984, Warrant Officer from 1984 to 1986, Royal Canadian Artillery School from 1984 to 1986, Master Warrant Officer from 1986 to 1989, 2nd Regiment Royal Canadian Horse Artillery from 1986 to 1989. Norris, PC; Taken on strength with 158 Battery 15th Field Regiment RCA on 19 Mar 1959. ​Norsworthy, JEK; Bombardier in 2014. Northgraves, George Allen; Taken on strength 1st Anti-Aircraft Regiment Royal Canadian Artillery Canadian Active Service Force 25 Jun 1940, posted to 11 Anti-Aircraft Battery Canadian Active Service Force 25 June 1940, posted 16th Light Anti-Aircraft Battery Canadian Active Service Force 1 Sep 1940, taken on strength Canadian Army (Overseas) 6 Apr 1941, 3rd Light Anti-Aircraft Regiment Royal Canadian Artillery 29 April 1941, promoted Acting Lance Bombardier 1 Dec 1941, proceeded to 49 Anti-Aircraft Brigade Air Recognition Spotters Course 18 Jan 1942, appointed Acting Bombardier 3 Jun 1942, presumed killed in action Dieppe 19 Aug 1942, commemorated at Brookwood memorial Surrey England. Nowe, Tim; member of the Skyhawks, the Canadian Forces Parachute Demonstration Team, Master Bombardier from 1992 to 1994, Regular Force Cadre 1992 to 1994, released in 1994. Nurcombe, Anthony Louis; Taken on strength in 15th Field Regiment RCA on 14 Mar 1952, struck off strength on release on 30 Oct 1954.